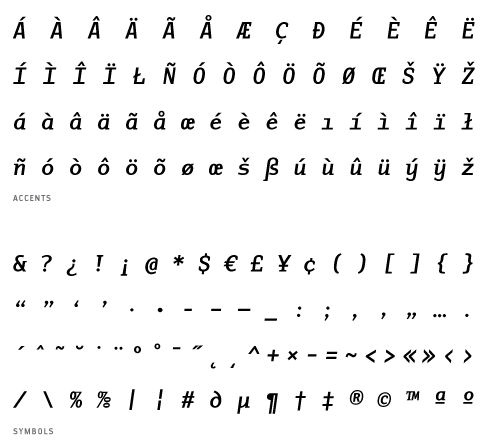 Adaptive was developed as an OEM typeface for a software developer in 1999. 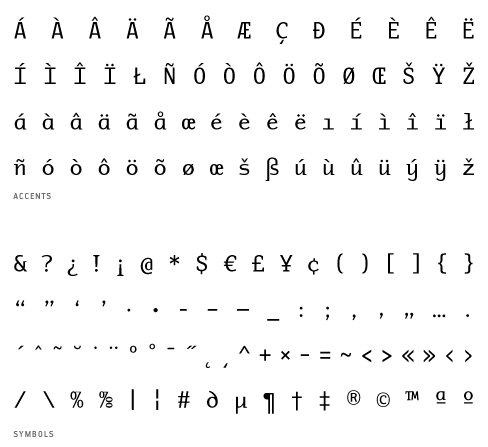 The design’s ‘variable serif’ treatment allowed characters to adapt to the 560-em square on which the face is built. A subtle humanist touch counterbalances the mech/tech construction and boosts readability. 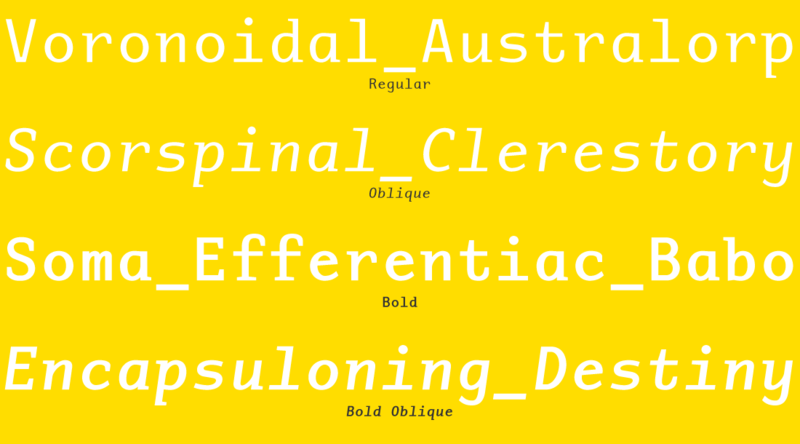 With its exclusivity period fulfilled, PSY/OPS is now able to offer this stylishly functional mono font for general use! The Adaptive Mono fonts include: Monospaced Western and Eastern European characters, and more.